The best PUBG and FPS companion! Destroy your opponents with the ultimate single hand mechanical keyboard for Gamers! 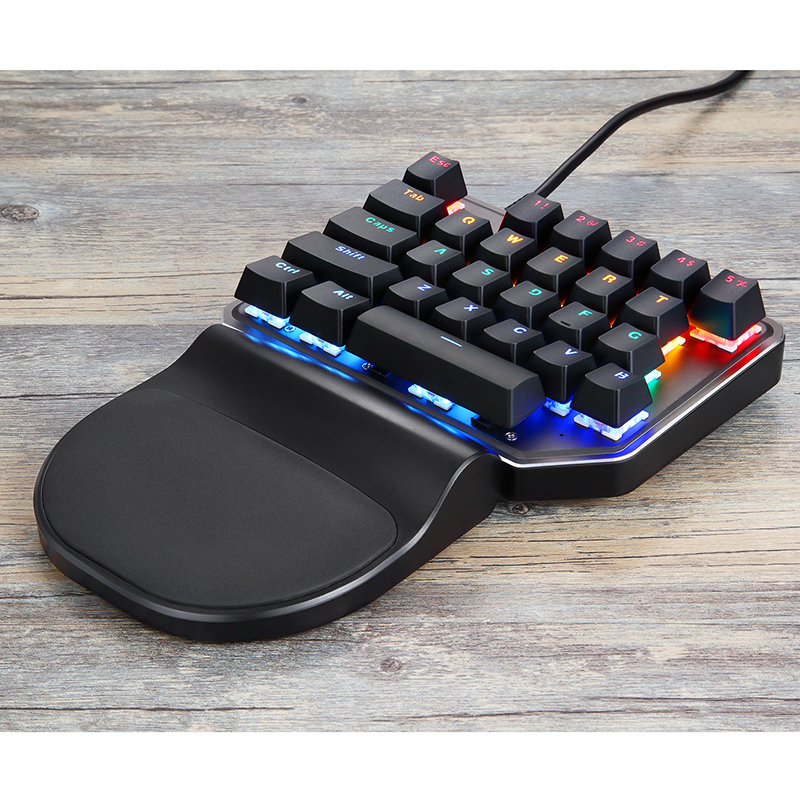 The Geek K27 V30 Single Hand Mechanical Gamers Keyboard and Mouse for PC are the perfect PUBG peripheral. 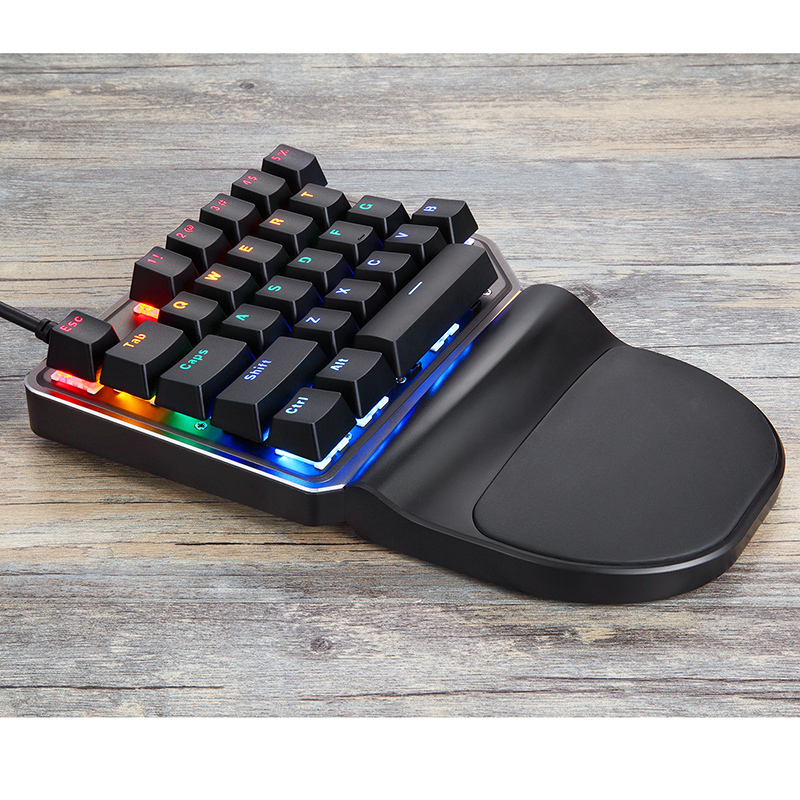 Slay with 27 Keys and 9 LED backlights specially tailored for FPS games like PUBG. With an operating life of 50 Million times, be the word of your peers and enjoy the impressive light diffusion technology of this impressive PC arsenal! 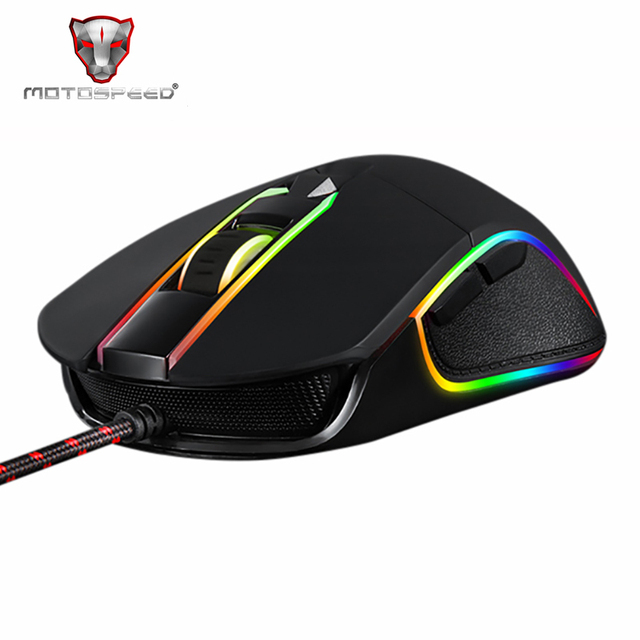 Choose between the V27 or the V30 models to enjoy the RGB lighting spectacle. 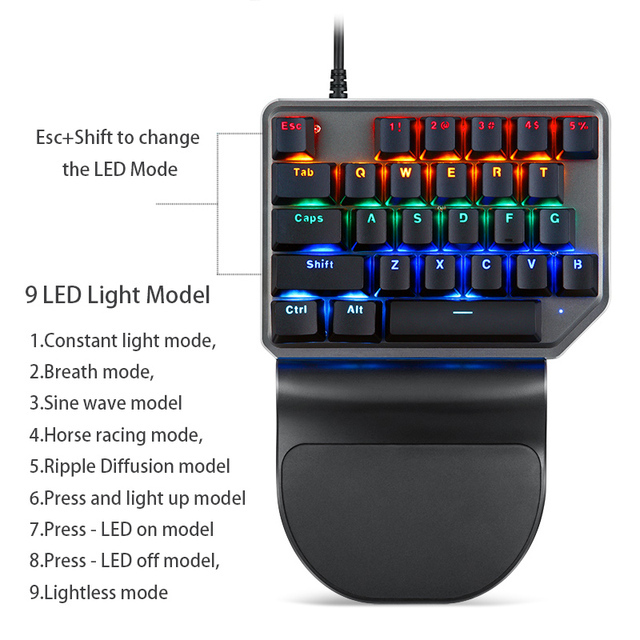 The best PUBG and FPS companion! 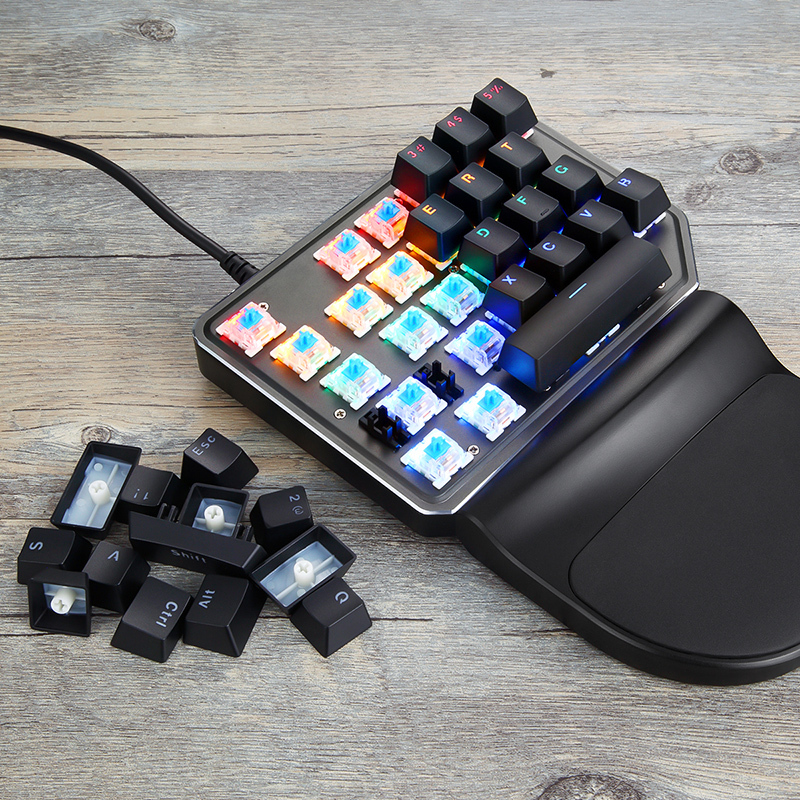 Destroy your opponents with the ultimate single hand mechanical keyboard for Gamers! The Geek K27 Single Hand Mechanical Gamers Keyboard and V30 Mouse for PC are the perfect PUBG peripherals. Slay with 27 Keys and 9 LED backlights specially tailored for FPS games like PUBG. With an operating life of 50 Million times, be the word of your peers and enjoy the impressive light diffusion technology of this impressive PC arsenal! Choose between the V27 or the V30 models to enjoy the RGB lighting spectacle.